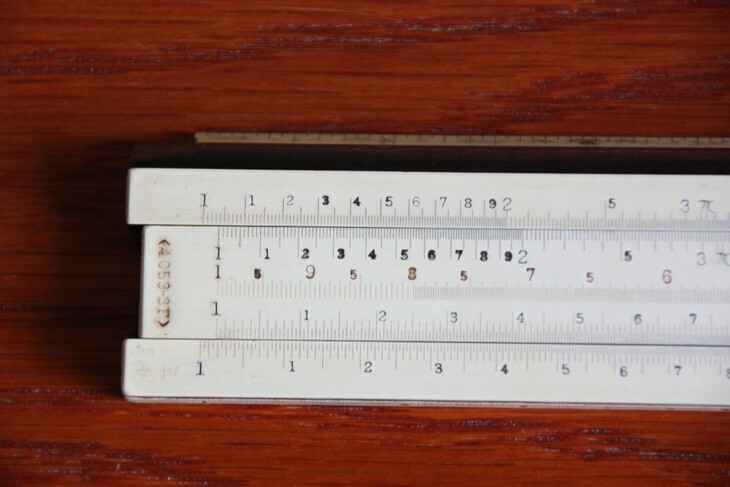 Keuffel & Esser 4053-3F, 10" slide rule. This is quite a scarce slide rule - the F stands for "Fine" because it has finely divided scales. Finely divided means that the scales are subdivided as closely as the 20-inch slide rules. 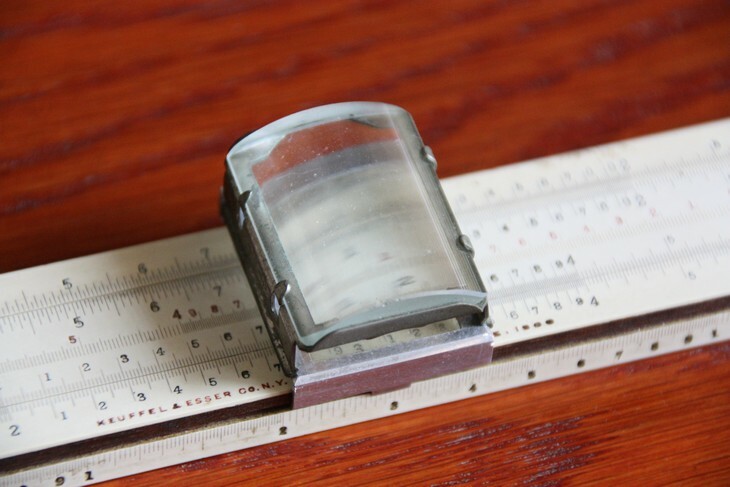 Combined with the included magnifier on the cursor, this means greater accurancy when reading the scale - it is almost as accurate as the K&E4053-5 (20") slide rule, but more compact. D Scale length: 400 mm. Significant digits: 3.3 to 4.3.